We made Christmas cards at Toddler group today and I loved the results! I'd put a few foam pizza bases aside to use for paint-printing. They turned out to be perfect for making Christmas trees. The children painted the foam pizza slices green using sponge brushes and then pressed them onto their cards to make a printed Christmas tree. 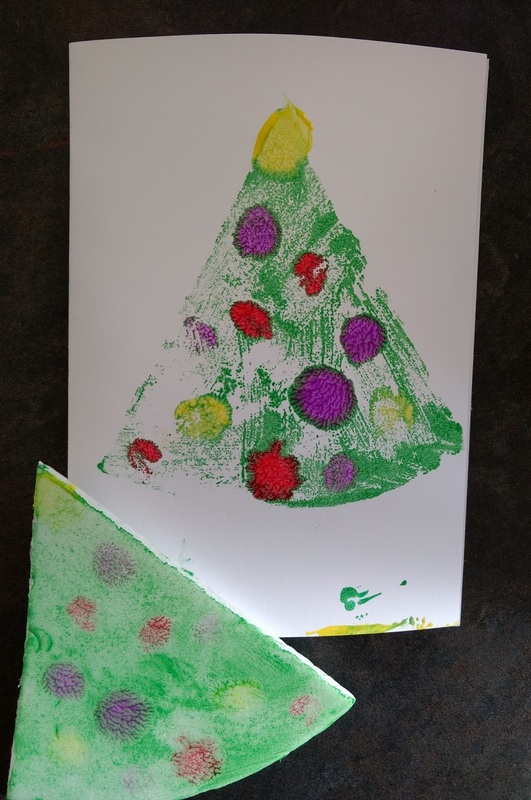 Some children added baubles to their trees before printing while others did some finger painting straight onto their card to make the baubles afterwards. Either way they looked fab.